We will follow the standard MML route which will take us on HK trail 1-3 with a couple of shortcuts and end walking up Aberdeen Reservoir Road to finish at Wan Chai Gap. The whole route will take us around 3.0 hours, reaching Wan Chai Gap between 12:30 and 1:00pm. To arrive at the Peak there are multiple transport options. These include walking up, catching the Peak Tram (HKD 36 one way) and also PLB and regular bus options which you can check at the transport link above. The meeting point is on the outside patio at Pacific Coffee (or inside if its raining) which has wonderful views. All of this route is on paved surface or well-defined dirt trails. We will go at a brisk hiking pace (around 10-11 min/km on the flat) with a couple of very short breaks. Please bring plenty of water or sports drink - I recommend at least 1.5 litres of fluid. 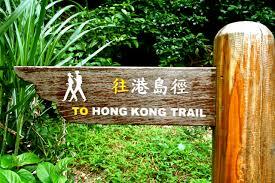 There are no re-supply points on the route after we leave the Peak until we reach Wan Chai Gap. There are multiple early exit points to public transportation. If you can not maintain the brisk pace, I can direct you to these.